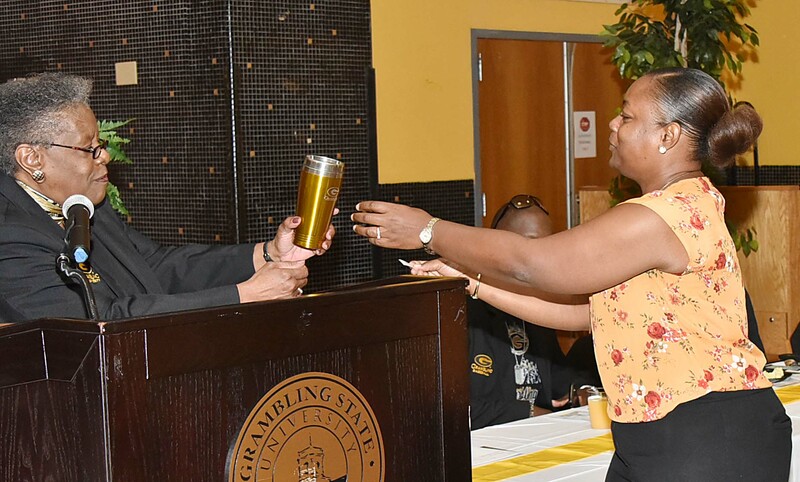 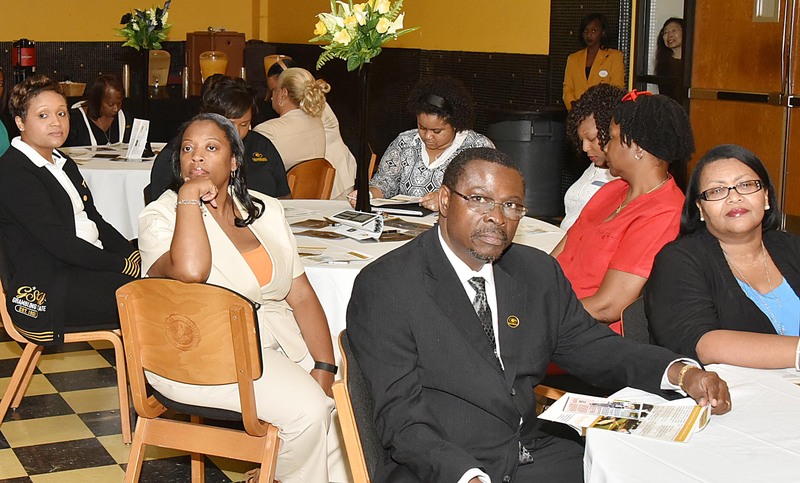 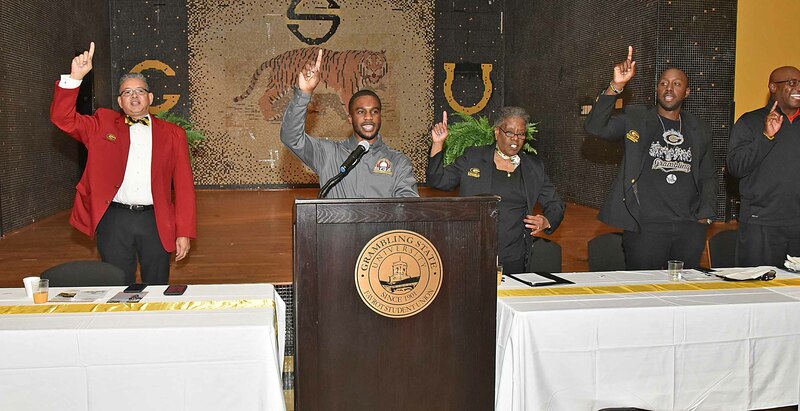 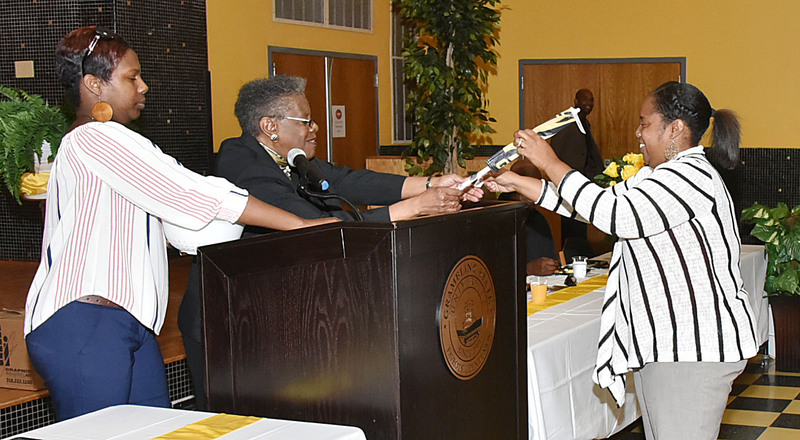 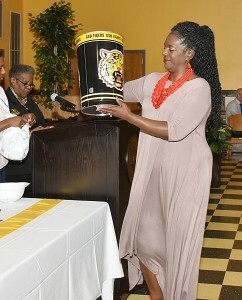 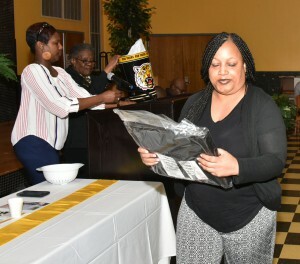 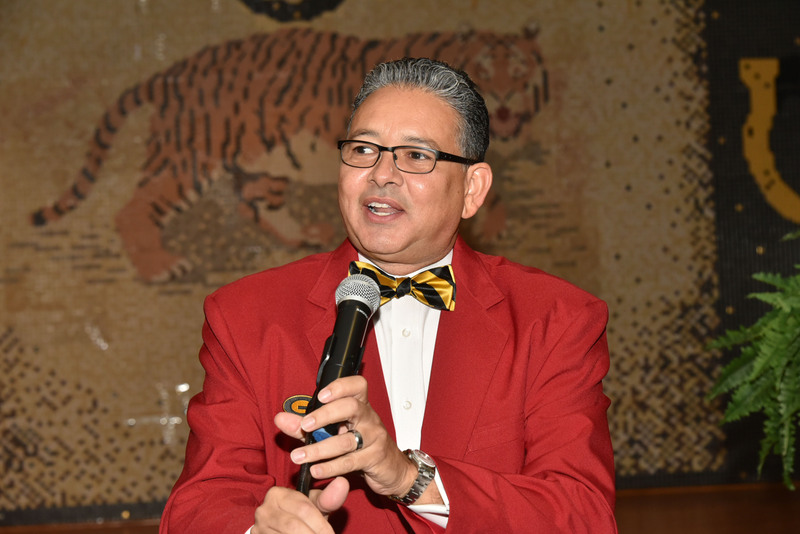 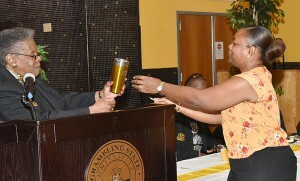 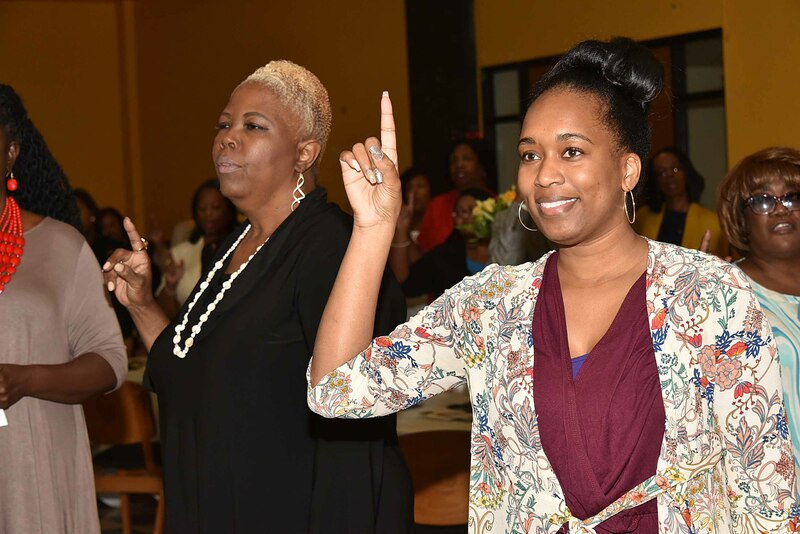 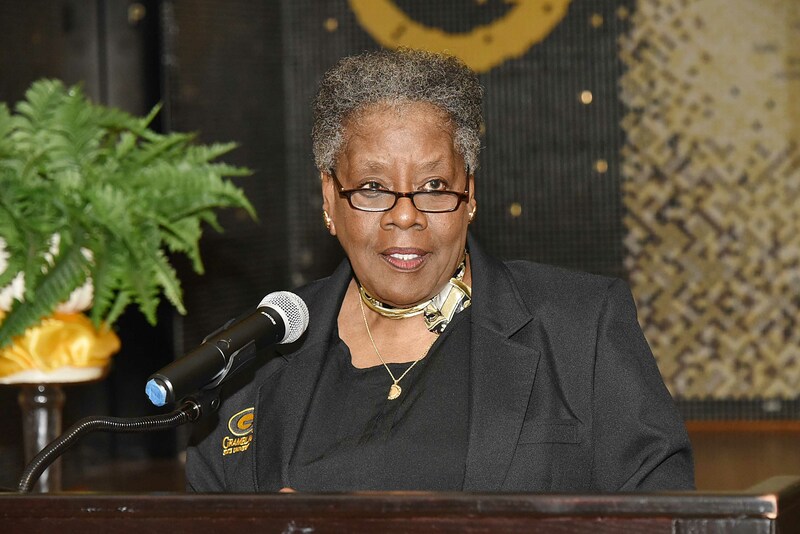 Grambling State University President Rick Gallot challenged faculty to go all in and give 100 percent at the third annual president breakfast. 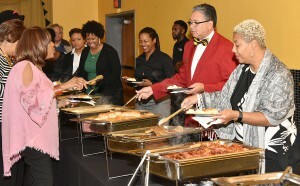 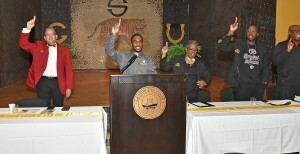 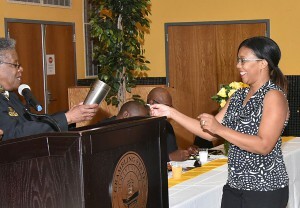 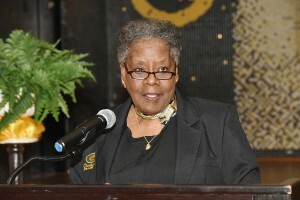 The breakfast, held in the Black and Gold Room, was an opportunity for faculty and staff to show their financial commitment to the university. 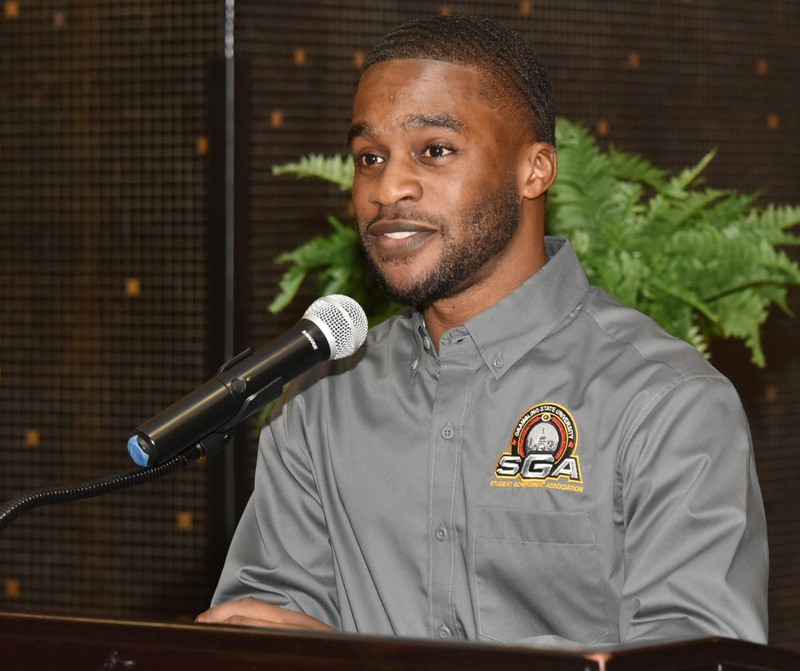 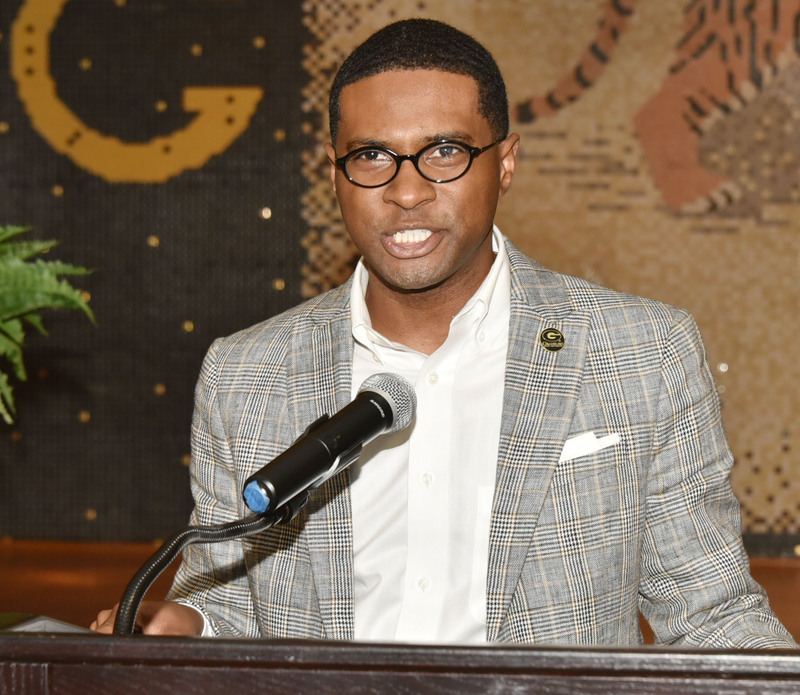 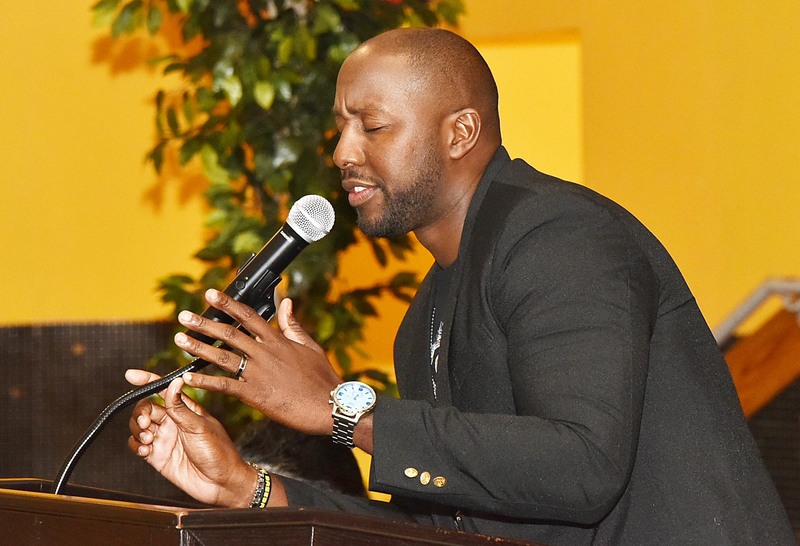 The campaign is a crucial component for the Bring It Home campaign to reach a $1 million fundraising goal by GSU’s homecoming in late October. 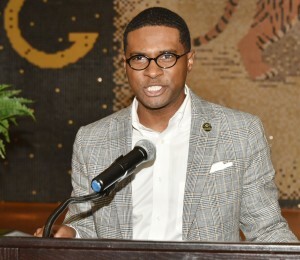 During the event, Gallot stressed the importance of faculty and staff participation for the ALL IN campaign, saying it is important that those who work at GSU show that they are committed to making the university better. 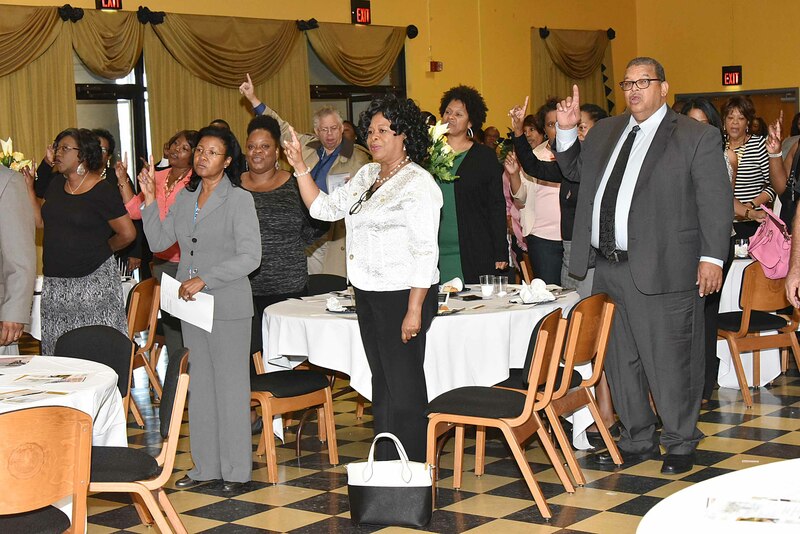 Gallot said his department has 100 percent commitment, and he challenged the faculty and staff in each department to have the same commitment. 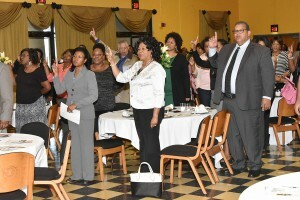 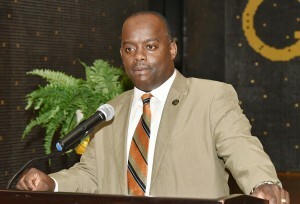 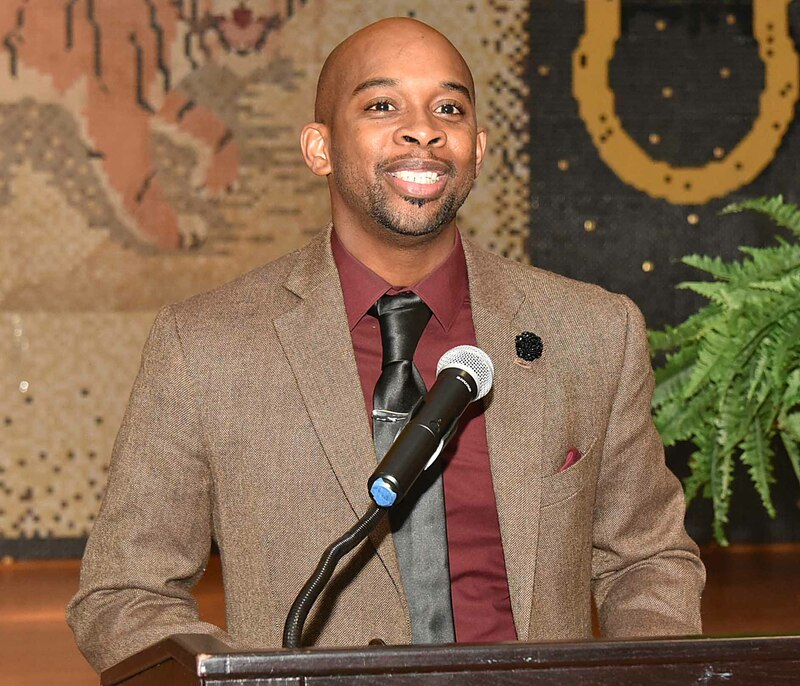 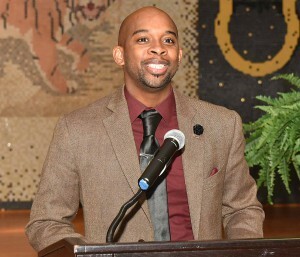 “We understand that finances are one of the things to keep the institution going and the Bring It Home campaign is a total initiative to meet several goals of the university, and the employee component will help us to get to that goal,” said Marc Newman, vice president for institutional advancement at the university. 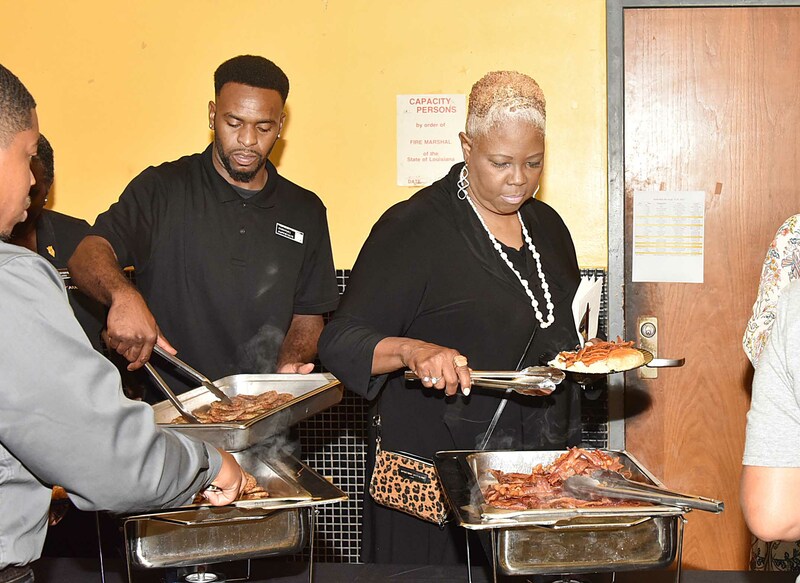 Some in the campus community enjoyed the opportunity to get a free breakfast first thing in the morning on Sept. 7, including Karla Atwater, a security administrator in the university’s information technology center.